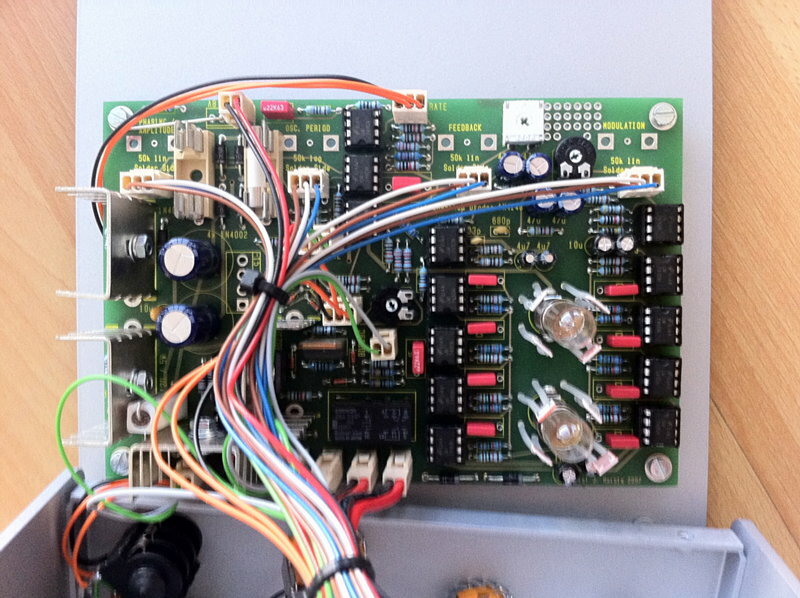 This german phaser is a kind of rebuilt Gert Schulte Compact Phasing A. The Schulte Compact Phaser A was the phaser of the german Krautrock and early Berlin School bands in the seventies. Its got a unique sound, due to a special circuit based around photcells and 2 light bulbs. 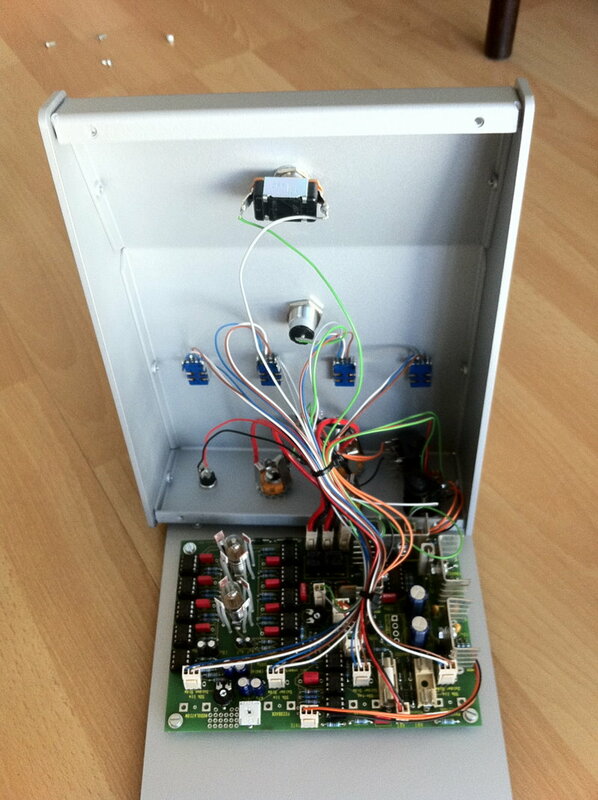 The Schulte Compact Phaser A could be described as being a 8 stage phaser, with 2 stages of feedback and a negativ lowpassed filtered feedback path. 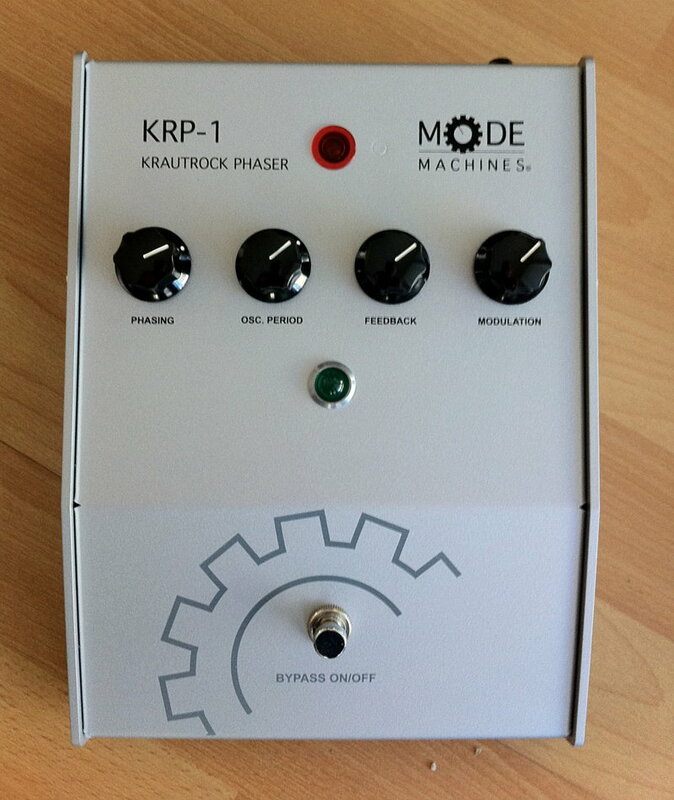 The somewhat strange speed knob is still like the real Schulte phaser: the knob does not give you a higher rate when turning clockwise, but a longer periode length of the modulation LFO. So you have to think backwards. You have to turn the knob ccw for higher rates. You can see the two light bulbs surrounded by 4 photo resistors each. The light is modulated by a LFO. The changed light strength gives variable resistance in the photo resistors to modulate the LM741 OP amps of the 8 stages. Because of the light bulb CV to light curve and the photo resistors non linear slope, the modulation is unique. And the overall sound is well known.